Punching their ticket to the playoffs with a season series sweep of the Philadelphia Wings in a Saturday night win 12-11, playoff lacrosse is back in Toronto. The Rock’s victory started due to the efforts of Johnny Powless. Powless, who has struggled this season, got the Rock on the board early. His efforts did not go unnoticed by bench boss Matt Sawyer. Two power play goals later, the Rock closed the first quarter with a 3-1 lead. One of those goals came from defenseman and captain Challen Rogers. Rogers is not one who finds his name penciled in on the score sheet often but due to the struggles the Rock have faced lately on the PP, Sawyer set out to shake things up. 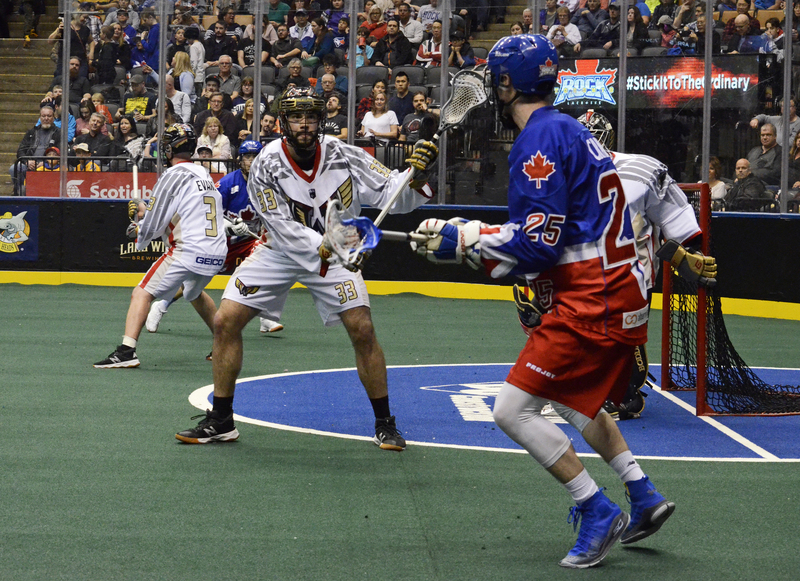 Sawyer’s efforts to revitalize the power play gave the Rock the momentum as they would finish the first half on a six-to-one goal differential giving them a 7-2 lead midway through the second quarter. Philadelphia potted two goals to bring themselves within three as they hit the locker room down 7-4. In the third, the usual suspects came out of hiding as a three goals from Rob Hellyer, Tom Schreiber and Dan Craig increased the Rock’s hold on this game even more as they would lead 11-7 after three. All was looking good for the Rock but the Wings would not go quietly into the night as they would rally to outscore the home team 4-1 in the final frame. Toronto’s Latrell Harris would have a goal called back as he was found to have stepped in the crease prior to the ball crossing the goal line but, the Rock’s prior goals would deem enough to come away with the win and their playoff berth. Post-game, Sawyer spoke highly of the Wings – a team he and his squad have come to know pretty well over the season. The Rock’s play was a collective meshing of all the preaching Sawyer has done throughout this season. From the power play to the goaltending which saw Nick Rose steer away 43 of 54 shots, everything is coming together at the right time. Powless’ three goals and four assists led the Rock. Rob Hellyer also had a big game, contributing a hat trick and three assists. Dan Craig scored twice and added three assists. Philadelphia was led by Jordan Hall’s four goals and one assist, as well as Matt Rambo’s hat trick and three helpers. Kevin Crowley contributed a pair of goals and four assists. 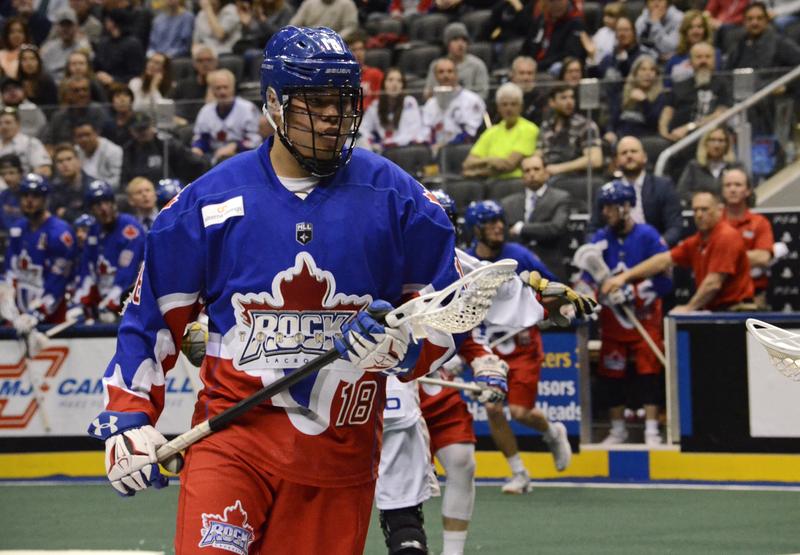 The Rock now prepare to take on the Eastern Division leading Buffalo Bandits in possibly the biggest game of the season this coming Friday at Scotiabank Arena.